Holidaymakers will be able to jet off to eight new destinations from Belfast next summer, following the expansion of a budget airline. Jet2 is poised to create 50 new jobs at Belfast International Airport, after adding the flights to its summer 2018 schedule. It means that the airline will ultimately serve 22 holiday destinations from the Northern Irish capital from next summer. The new routes will serve Antalya, Madeira, Crete, Costa de Almeria, Naples, Paphos, Rhodes and Malta. As a result of the latest expansion, Jet2 said it will base a fourth aircraft in Belfast - a Boeing 737-800 plane. Some 30 new jobs will be created directly by the expansion plans, including the likes of flight deck and cabin crew roles, while another 20 posts in the airport itself will be on offer to job-hunters. Wherever people fly to on their summer holidays, they shouldn't lose sight of the value of good-quality travel insurance. Travel insurance policies can cover everything from lost luggage and medical expenses through to flight disruptions and even legal expenses. 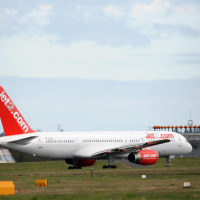 Steve Heapy, chief executive of Jet2.com and Jet2holidays, said Belfast has benefited from significant investment, giving holidaymakers the chance to fly to more foreign destinations. He said: "This will be our biggest ever summer programme from Belfast International, with eight brand new destinations, 400,000 seats and more hotels than ever before with our award-winning airline and package holiday operator." The latest Jet2 expansion plans have also been welcomed by Graham Keddie, the managing director of Belfast International Airport. He said: "This 39% increase in capacity not only brings the total number of routes served by Jet2.com to 22 but will also mean a jobs boost for the local economy with the addition of a fourth based aircraft."